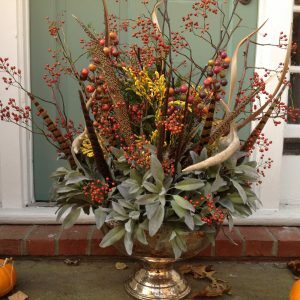 I created this holiday centerpiece using things I love. Sage leaves, interesting twigs, rose hips, winter berries, antler sheds and even an old horse bridle. 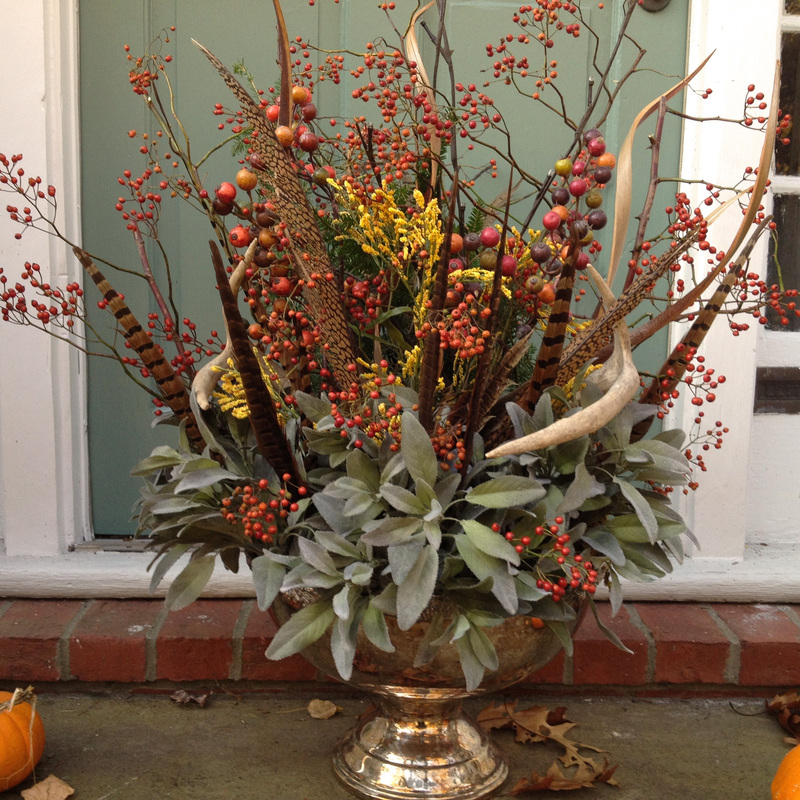 I arranged everything in an old silver punch bowl for that added touch of elegance.